TRIMETHYLSILOXYSILICATE, ISODODECANE, CYCLOPENTASILOXANE, POLYETHYLENE, PHENYL TRIMETHICONE, DISTEARDIMONIUM HECTORITE, PROPYLENE CARBONATE, CAPRYLYL GLYCOL, PHENOXYETHANOL, HEXYLENE GLYCOL, [+/-(MAY CONTAIN): BORON NITRIDE, CALCIUM ALUMINUM BOROSILICATE, LAUROYL LYSINE, MICA, POLYPERFLUOROMETHYLISOPROPYL ETHER, SILICA, SYNTHETIC FLUORPHLOGOPITE, TIN OXIDE, TRIETHOXYCAPRYLYLSILANE, RED 40 LAKE (CI 16035), YELLOW 5 LAKE (CI 19140), BLUE 1 LAKE (CI 42090), CARMINE (CI 75470), ALUMINUM POWDER (CI 77000), LTRAMARINES (CI 77007), BLACK 2 (CI 77266), CHROMIUM HYDROXIDE GREEN (CI 77289), IRON OXIDES (CI 77491, CI 77492, CI 77499), FERRIC AMMONIUM FERROCYANIDE (CI 77510), MANGANESE VIOLET (CI 77742), TITANIUM DIOXIDE (CI 77891)]. 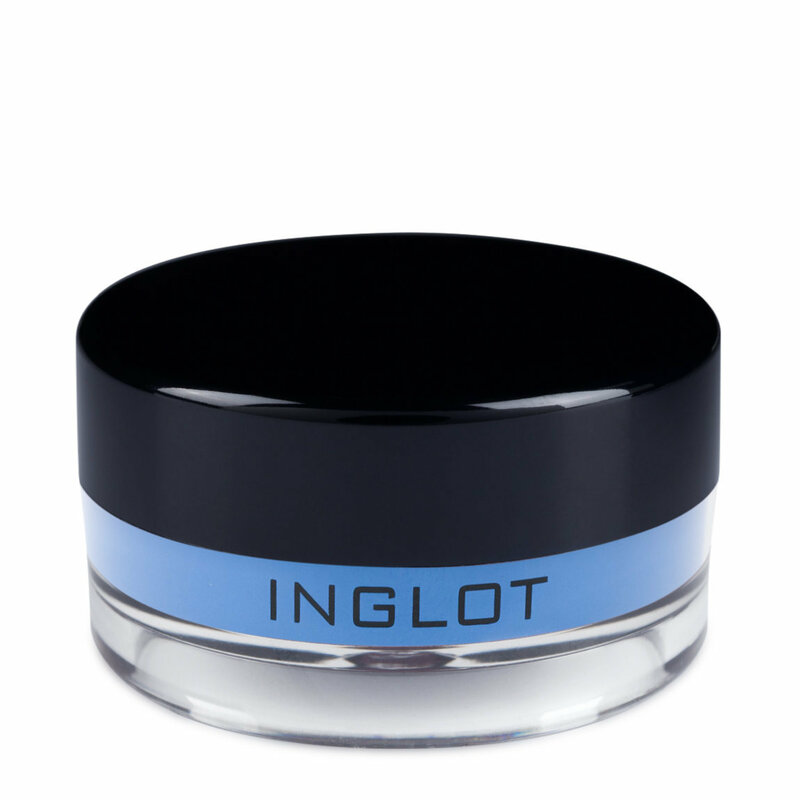 Turn your wildest eye makeup dreams into reality with Inglot’s high-performance gel eyeliner. Available in a range of intensely pigmented shades, the creamy, full-coverage formula has earned rave reviews for its rich color payoff and virtually budge-proof finish. Dip an eyeliner brush into the pot and glide it across the upper and lower lashline. Note: To maintain your Eyeliner Gel’s freshness, keep the foil liner partially attached. If the product dries out, moisten it with a few drops of Duraline. I love eyeliner. I love wings. I love BIG wings, and dramatic eye make up. 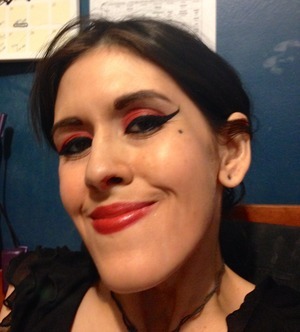 I posted one of my favorite looks ;) red shadow, and BIG creamy wings. I've tried every liner, I'll list them, and prices, to sell you on this. No, I get no money for this, Beautylish and/or Inglot are not giving me any money or products or ANYTHING for this. I just love this stuff. First let me say, I was using the Bobbi Brown gel liner. I lost the cap to it and had another cap that fit it perfectly. I just put it on there. I noticed a crack in it, but it had the same texture. MUCH harder than this one, and it took several coats to do each eye. I would have to redo my wings repeatedly because every time I would do it, it would get messed up. I thought "maybe I just cant use Gel Liner" but why?? I didn't understand. The Bobbi Brown liner was $28 + tax, literally twice the price, and NOTHING made it better. Its like a little rock! I can rub my finger on it and get it all shmutzy, but I can't gently drag a liner brush against it and have it pick up color. I thought maybe it dried out, even though it looked exactly like and felt exactly like the one I tried in the store, I thought maybe I could "fix" it. I put it in a bag with a piece of orange peel and the cap off over night to let it rehydrate, but there was no improvement, unless you count smelling nice. What HAVE I tried to get the perfect wing? Basically EVERYTHING in CVS or any pharmacy. Everything in Sephora, let's start there. Kat Von D Liquid "Tattoo" Liner pen. 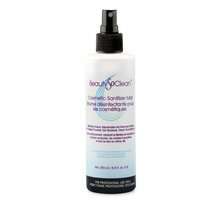 Great product, I liked it, but it did smudge/smear and my eyes do tear up. It would leave little empty holes in the corner of my eyes where tears where and I had daubed them away. It was difficult. The Product cost $22 I think. UD Liquid Liner great liner, but the brush pen gave me trouble. It ran out and dried out quickly. I got a nice flick, and I started to use it to make the little dot I make under my left eye for effect. I liked it. It did have a tendancy to be VERY shiny, and it would peel off like a sticker if it got rubbed. That was NOT attractive. It was hard to get off, and I ended up having to peel pieces off at a time. It was $30 I believe. I had it in Perversion. 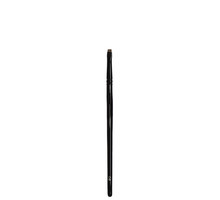 Nars Stylo great liner bad applicator. It had a felt tip pen. Any time I tried to go over it it would erase itself. That was $28 I think as well, maybe a little less on both them and the UD, but they where closer to $30. The black was never black enough. They came out with a "blacker black" but it still wasn't pigmented enough, and still would erase as I tried to layer. UD pencil liners, I LOVE those, but no bueno for cat eye. Good for tight lining, good for the waterline, NOTHING wrong with the UD pencils. I love them. Marc Jacobs Magic Marker totally watery, waste of time, nothing good to say, it went right back to Sephora. That was like $35. Bad. JUST BAD! in fact, I've had ZERO luck with ANY Marc Jacobs make up except foundation, but that may just be me. Buxom Big Liner too big, good for smokey eye, not what I'm looking for here. here, look at my eyes. Perfect. I used a Lit Liner Brush I bought myself on here, and this pot of Inglot liner is A) creamy perfect beautiful, I LOVE it. I can't get it off! lol. I have to use my expensive Llancome Eye Makeup Remover and soak to remove it. I like that. just TRY and smudge my liner, just TRY lol. For literally half the price, I got ALL of those products, but better. YES learn to use a brush properly, ESPECIALLY get a NICE brush, keep it clean, make it nice, it will be all fine, it's freaking great. I got the Lit thin line gel liner brush from Beautylish. Great set. The liner brush is perfect, I can even do my waterline. I can layer and build color and shape, and not worry. Correct and recorrect, I can even use it to make my little "birth mark" on my cheek. This stuff is ABSOLUTELY perfect when it comes to liner, if you ask me. It's matte black, DEEP pigmented, BEAUTIFUL. I love it. If you love wings and if you love crisp clean lines, this is for you. Come on, $12 for this quality??? I saw Maybelline Mascara for $12... if you will pay $12 for that garbage, why not for this? I plan on getting this in bright red and the purple, maybe the blue.... for $12, I love it. Double it with UD "All Night" setting spray, and you have a look that just wont budge. Cry, rub, sweat, it will stay there. I never tried it, but I'm sure I could go swimming in this. I LOVE this stuff. It is ah-mah-zing. Looks great! Easy to use! I just got this eyeliner gel. It's so easy to work with and went on so nicely, I started to be suspicious that there was a catch. Why would anyone use a pencil or liquid eyeliner after this? There wasn't a catch though, it was just awesome. I went to a bunch of parties and walked in the heat and my lines stayed put. It looked just as black and perfect as when I left the house. Definitely a great eyeliner! I love Inglot gel liner! I own 6 gel liners and love it all. #74 is the perfect eggplant color ( I would call it Dark Purple). Billy B nine brush is the great tool to make the perfect cat eyes. It's super affordable, easy to use and very pigment. The tip I want to share is cut only 1/2 of the shield to keep the gel liner moist for long time. I decided to try this liner after hearing a lot of great reviews on Youtube and I was not disappointed. If you have naturally watery eyes (due to allergies like me) or oily lids, this is the product for you. I can put them on at 4:30 am and it will stay on all day until I take it off at night. It will not budge. It will not creep into my eyes like a lot of other waterproof liners will. 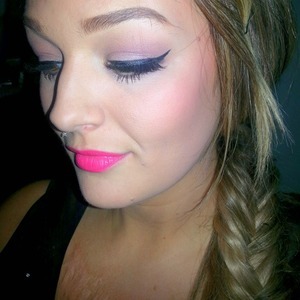 I love that it is matte and creamy enough to create the perfect wing. You have to make sure you work fast when applying this because once it dries, it's not moving until you're ready to take it off. Plain tissue will not work. The only downside, which is actually not that bad, is the longevity. This is the hardest liner to remove. I have a lot of great eye makeup removers but I often have to use vaseline for this liner because it is so good. If you love gel liners, give this one a shot! Application: Very creamy, doesn't drag at all. With a nice thin brush (I use Royal MiniMagestic 4200R) it will go on so easily. Dries almost instantly. Coverage: Totally opaque. The blackest gel liner I've ever tried. Finish: Matte Wear: Tightline and waterline minimum - 10hrs. Eyeliner without primer - 5hrs. 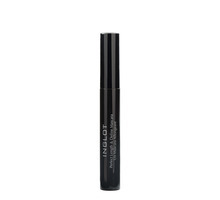 Eyeliner with primer - 12hrs Overall: 9/10 - Without a primer this does seem to seep into the inner and outer corners of my eyes but I recommend it highly with a primer. For tightlining and waterlining I 100% will always use this, it doesn't need to be set with a powder but you can for super intensity. I would say that this is for those who are already confident with liner as it won't budge if you try to correct mistakes. I bought this at IMATS in NYC this past April and I use it almost every time I wear makeup. The texture is almost like... fluffy? I really like it. It dries super fast so there is no worries of smudging. I've even used it on top of black eyeshadow and it covered really well. I use it on my waterline and my inner corner to create that "open" look because it really compliments my round eyes. It stays on my waterline all day. even on those days where my eyes water a little more than usual. Love! I bought this liner a couple of weeks ago and used it on a client on Saturday and was absolutely amazed at how black it was. 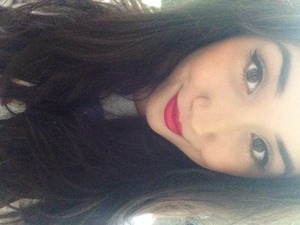 Inglot's Matte Collection AMC Eyeliner Gel is amazing. I can't get enough of it. I even had my cousin use it on her waterline and it did not budge at all. I had put some on the back of my hand and later tried to wash it off and had to rub pretty hard to get it on. This liner stays in place and is a true black. Absolutely fantastic is what it is and I'm so glad I purchased it.